Feel like a pro in our Happy Place Top! 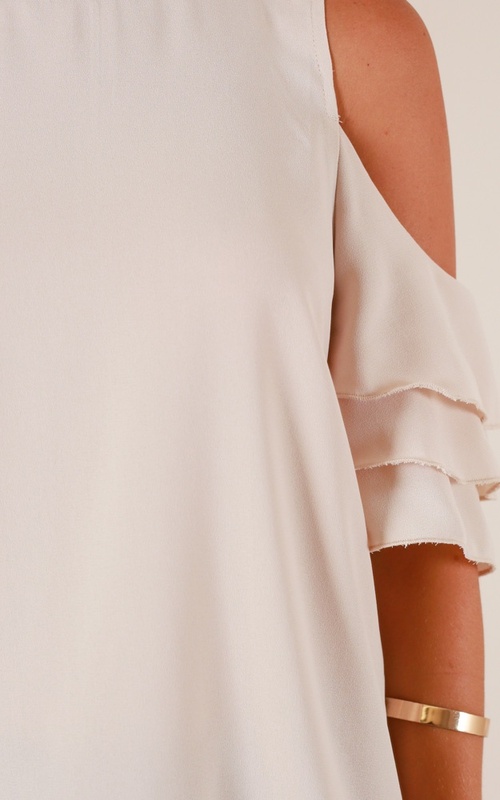 This great cold shoulder style features ruffled sleeves and a centre back zipper. Complete the look with some classy trousers, heels and a clutch.